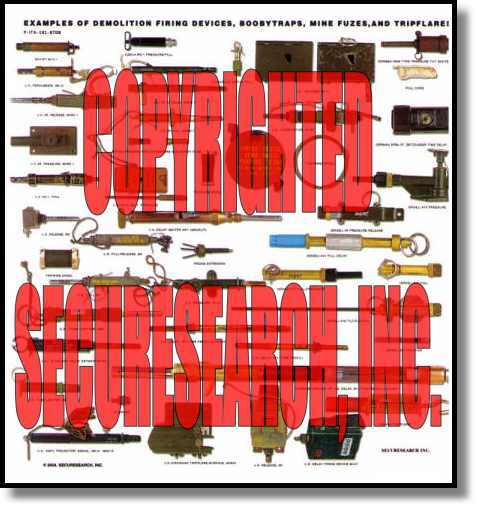 The armed forces of many countries have been issued with mechanical, electronic and chemical “switches”, boobytraps, trip-flares, mine fuzes and demolition firing devices. These are used for a variety of special operations. This security poster illustrates some typical examples, representative of the operating principles of such devices.